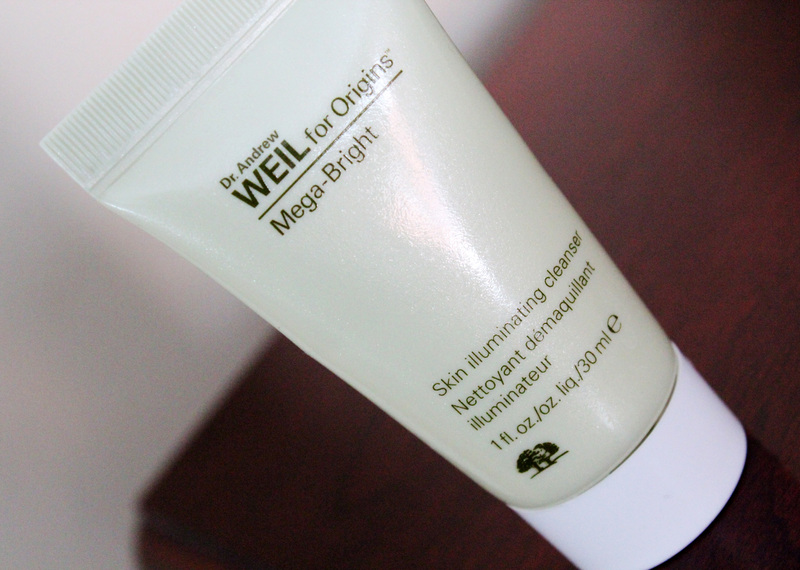 Review: Doctor Andrew Weil for Origins Mega-Bright Cleanser – amandarobots. How can a product that is on your skin for a few minutes a day claim to address major skin concerns that developed over time? The answer is simple and a little disappointing: it won’t. It’s unfair to expect a cleanser to do that kind of heavy lifting. That’s what serums and moisturizers are made for – and even then, I won’t put all my eggs into a mositurizer’s basket. Serums pack the real punch. This refreshing, foaming cleanser with Dr. Weil’s natural light-infusing complex gently purifies skin and melts dulling, potentially discoloring dirt and debris. Skin is perfectly prepared for brightening treatments to follow. So the product is supposed to cleanse away impurities that might discolour the skin. Don’t all cleansers do that? It also preps the skin for your Mega-Bright serum and moisturizer. But I don’t think that that’s something that yields tangible results, so I’m going to assess this cleanser the way I assess all cleansers: based on how it makes my skin feel. In the summer I use Origins Checks and Balances, and I could go on using it in the winter (and sometimes do because I love it so much). However, it tends to leave my skin on the dry side in the colder months. Mega-Bright cleanser foams slightly less than Checks and Balances and is less stripping. It leaves my skin clean but balanced, which is really nice. As you can see from the photo at the top of this post, the size I have is a sample. When it’s done, I probably won’t buy a full-size right away because it’ll be summertime; however, come winter, I’ll likely be picking one up!